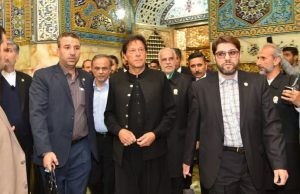 The international community recently marked the one-year anniversary of the nuclear deal which heralded Iran’s long-awaited reintegration into global trade and investment flows. At least, that is how it was supposed to happen. However, one year on, trade with the Islamic Republic has picked up, but financial transactions with European banks have not. Neither has investment in Iran’s oil and gas sector, which helped prompt lawmakers in Tehran to recently revise their template oil and gas contracts and offer foreign extractors better terms. 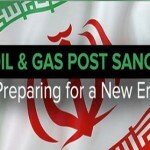 Yet, as major as some of these revisions are, oil and gas firms will continue to be cautious about entering the Iranian market, in spite of the country possessing 158 billion barrels of recoverable crude (fourth in the world) and 34 trillion cubic meters of proven natural gas reserves (first). Although about 150 changes were made to the previous “buyback” oil and gas contract, which barred foreign players from owning stakes in Iranian companies or the energy reserves themselves, there were only a number of major modifications. The most relevant for investors include the provision that they can now be actively involved in the operation of the fields during production, the duration of contracts has been extended to a maximum of 25 years (and occasionally longer), remuneration fees will be set to incentivize efficient production on part of both the investor and the Iranian partner, and the process for recovering costs is easier. Notably absent from this list is the ability for investors to own portions of the reserves, which is fairly common in other energy exporters. Also missing is a clear indication that there will be much less meddling from the state oil company, which retains its veto power over major decisions from the managerial committee of joint ventures. In all, the new standard Iranian oil and gas contract gives investors more flexibility while reducing their risk. They also provide for open tenders for all but the handful of most attractive fields (for which RFPs will only be sent out to a small number of producers). 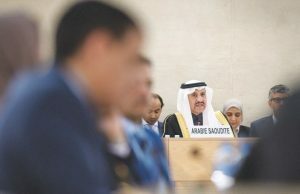 Still, it must be noted that many of the details have yet to be ironed out by the Ministry of Petroleum, and many of the actual numbers may not be finalized for another month. Where does this put Iran? In a relatively tricky situation. President Hassan Rouhani’s government had to make a number of concessions in order to gain enough support to pass this legislation, and they are unlikely to placate European and some Asian firms, who are still wary of the fact that Washington has maintained non-nuclear sanctions as well as a trade embargo on the Islamic Republic. And while Tehran’s oil production is now at 3.85 million bpd—its highest level since 2008—a combination of low prices, an expected major reduction in demand from Essar Oil (its largest single importer) due to recent investment from Rosneft , and renewed price competition from Saudi Arabia and Kuwait geared towards Asian buyers all mean that Iran is finding it difficult for the energy sector to help reverse its lagging growth. This explains a flurry of recent diplomatic activity on part of Rouhani and Oil Minister Bijan Zanganeh. 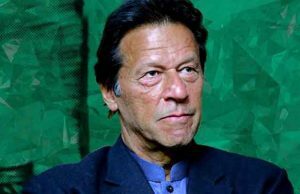 Their main goal is to finish talks on the massive Chabahar-Gujarat gas pipeline, which looks set to receive $500 million of Indian investment, including Iran’s first deepwater port. But they have a number of secondary objectives as well, including finalizing the Iran-Oman gas pipeline, which was diverted from UAE waters last month, and increasing storage and export infrastructure in and around the Caspian Sea with the help of Moscow and Baku. 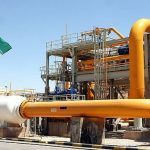 Tehran will likely reach its target output goal of 4 million bpd by next year (just short of the pre-sanctions status quo), but its longer-term goals of 5 million bpd by 2021 coupled with $100 billion of foreign investment in the energy sector over the next two years look a bit ambitious. Russian and Chinese companies will undoubtedly pick up part of this slack, as last week’s $1 billion offshore drilling rig deal between Krasnye Barrikady and Iran’s Tasdid Offshore Development Company illustrates. But the numbers are still far from what is currently achievable. 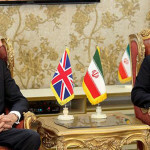 Unfortunately for Iran, barring significant developments on the financial services side, which would expedite its ability to engage in trade and attract investment, the status quo is unlikely to change until the outcome of next May’s presidential elections are known. The growing frustration at the pace of sanctions relief is hampering Rouhani’s chances of re-election, and few firms will want to dive headfirst into murky investment terrain (made worse by rampant state corruption), especially given the prominence of critics of the new contract within Parliament. Even those who are less risk-averse are still cautious of being affiliated with Rouhani and possibly having their investment decisions reversed should a new government come into power. This will not stop Tehran nor oil and gas majors from engaging in highly-publicized meetings with Iranian lawmakers or signing non-binding MOUs. And neither will this dent the determination of Rouhani’s administration to build on its barrage of oil and gas contracts with major refiners, whose most recent recipients include Japan’s Tonen General and India’s HPCL and BPCL (doing so may actually help build a future coalition that could further the speed of sanctions relief). 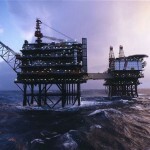 Iran has, in fact, recently announced an October tender date for its prominent South Azadegan oil field. However, until there is more political certainty within the often-cloudy workings of the Iranian state, it is difficult to see investment in Iran’s oil and gas sector increasingly sizably before May 2017. Can oil bridge ties between Iran and the West?